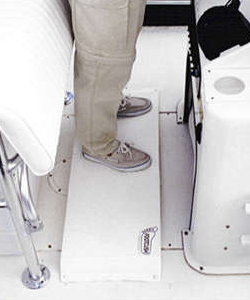 Most Popular for Center Console Boats! Fits Cuddy Cabins, Walkarounds, Sail and more! 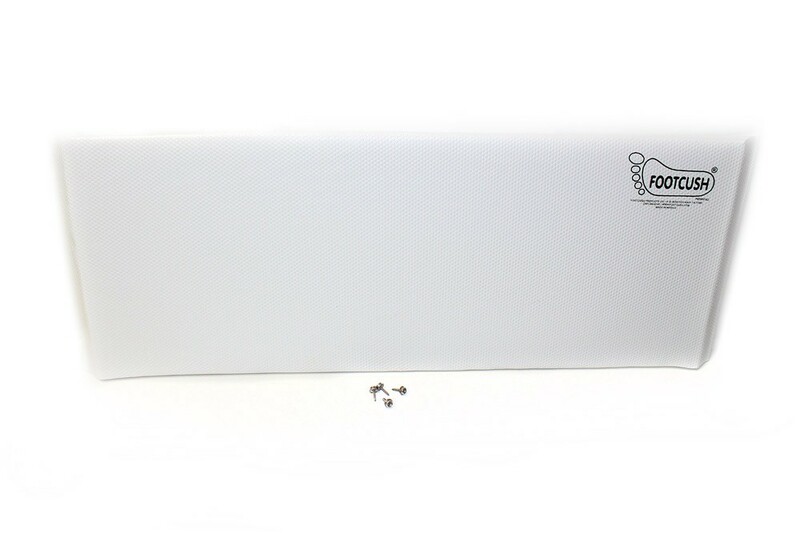 Made of non-absorbent PVC closed cell foam, coated in a white vinyl finish with a textured standing surface. 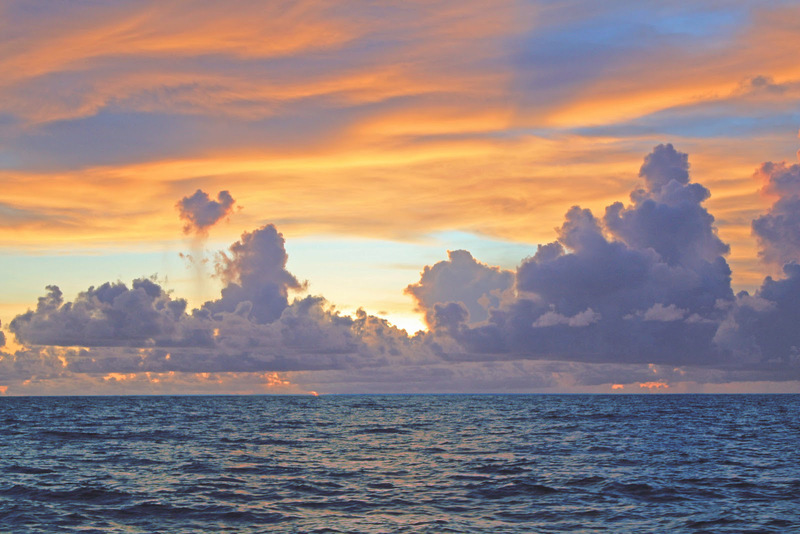 Saltwater and weater resistant mat is soft enough to ease standing on a hard deck, yet firm enough to absorb the vibrations and shock of pounding waves. No slipping or sliding or dry rotted glue here! 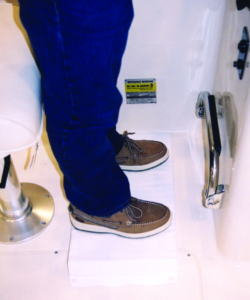 FOOTCUSH secures to hull of boat with stainless steel snaps & easy installation instructions for your option to secure in place. Shipping Policy: Shipping and handling price includes the continental U.S. Please "contact us" or call 281.345.6145 if shipping outside of the continental U.S.
Return Policy: Footcush merchandise return and refund within 30 days of purchase. Please "contact us" or call 281.345.6145 for return authorization and address. Returned merchandise must be unused with hardware, proof of purchase, and customer contact information included. Warranty: Please "contact us" or call 281.345.6145 for warranty return address. 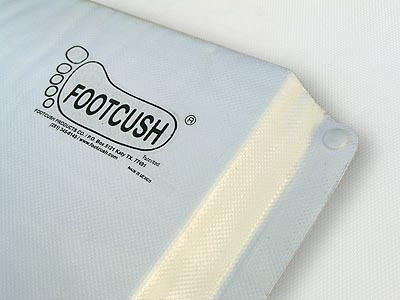 Footcush Products warrants its product to be free from defects in material and workmanship for a period of one year from the date of purchase. 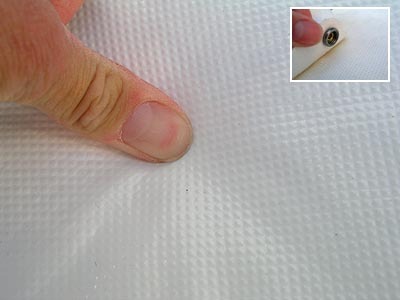 This warranty does not cover defects caused by misuse or improper handling, installation or maintenance of the product. In the event of a defect under this warranty, we will, at our option, repair or replace the product. If however, the repair is not covered by the provisions of this warranty, your Footcush product will be repaired and returned to you. This warranty gives you specific legal rights and may have other rights which vary from state to state.